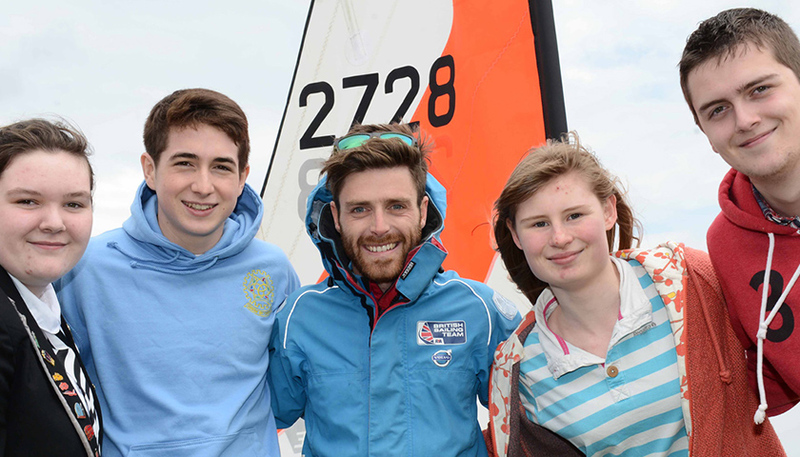 The Andrew Simpson Sailing Foundation has received a donation of £5,500 from British Sailing. The money was raised from a successful International Sailing Summit (ISS) which was hosted by British Sailing in Amsterdam. Founding trustee of ASSF, Olympic Gold medallist and America’s Cup sailor Iain Percy opened the Summit which focused on participation, diversification and innovation in the sailing industry. Over 80 international delegates heard a range of presentations including a lively review of Bart’s Bash, the largest sailing race in the world, organised by the Foundation and held in September 2014. The race attracted 30,734 people sailing across more than 60 countries. CEO Richard Percy also outlined ASSF’s future work which includes a unique piece of research into the specific benefits of sailing and on water participation. The Foundation will be the official charity of British Sailing, a British Marine Federation group association, for the next two years and will work closely with the Sailing industry to develop its sailing programme’s. These use the challenge of the sailing environment to develop young people’s personal skills, improving their ability to succeed in life, and enabling access to jobs and careers within the maritime sector.